Now that 2015 is in full swing, you can bet there are some great SEO opportunities ahead—and they’re closer than you think. But do you know how to take advantage of them or which ones you need to avoid? 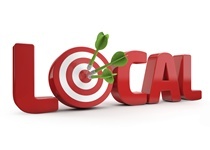 How about when it comes to local SEO? Companies that want to take advantage of local SEO need to get a foothold in their area before they can tackle bigger and/or international markets. 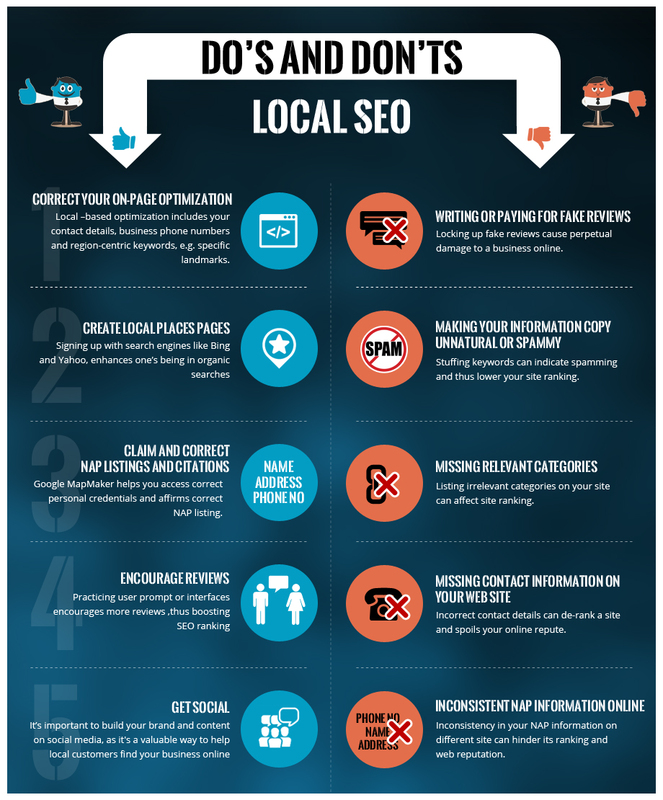 To help you achieve this, we’ve compiled a list of the top do’s and don’ts for local SEO in 2015. When it comes to focusing your on-page optimization on local SEO, you’ll be pleased to know that it’s actually a lot easier than other optimization tasks. With local-based optimization, your site should include not only obvious things like your contact information and your business’ phone number(s), but also region-specific keywords, like the names of certain landmarks. Also consider registering with forums that list local businesses; these generally let users include company descriptions and information. If you network and have a presence on social media but feel something is missing, that something is likely having your business registered on major search engines. By registering with these search engines, including Bing and Yahoo!, you help to increase your presence in organic searches. 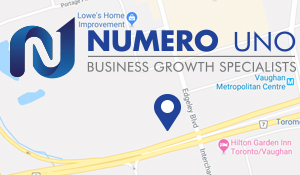 Name, address, and phone number—or NAP—is the most important information for businesses hoping to make a dent in local SEO ratings. You need to make sure to claim each NAP listing and citation, which can be found by looking up your own business. It’s a good idea to use tools like Google MapMaker to help you find this information and to ensure everything is listed correctly. And if there are problems, you can use other tools to correct these citations. There’s no room in business to worry about being judged by others; after all, you will be regardless. But now, not only should you not be afraid of getting reviewed, but you should be encouraging it. That’s because online reviews are actually relevant to local SEO, with good reviews boosting rankings. So aside from doing good business, you need to have customers supply positive reviews online to help boost your ranking. The best way to facilitate this is by using a prompt or interface asking people to include a review. If your business is doing a good job, your customers will let you know, and your SEO ranking will go up as a result. But just as you should do the above, there are also things you shouldn’t do. Even if you fancy yourself a great writer or someone capable of getting away with questionable things, attempting to cheat the system can do serious long-term damage to your business’ reputation, as can bribing people for a positive review by offering them a discount or gift. Not to mention that those in charge of monitoring search engines will be sure to keep an eye on you if they notice any suspicious behaviour. When it comes to SEO copy, so many business writers want to continue stuffing keyword phrases into content to boost their SEO ranking. While the keywords in this case apply only to local information, the results are still the same: you’re creating spam. Google has made their attitude regarding spam clear and will waste no time lowering your site’s ranking. Strive to have high-quality, original content that you create yourself with the right amount of keywords. Your site also needs the right categories that emphasize the services you offer and which you perform locally, similar to a telephone directory. Your web site should list a multitude of products or services that people in your area would want; be sure to include them. Conversely, listing categories that do not apply to your business will negatively affect your rankings, perhaps even more so than if you were missing categories altogether. Be sure to only list categories that apply to what your business actually does. Not including the right contact information on your web site not only de-ranks it, but damages your online reputation. In addition, not having proper contact information results in your site losing visitors and, in turn, potential customers. Google also compares the contact information listed on your site with that on local listed pages and will de-rank your site if the information doesn’t match or is lacking. If a lack of contact info didn’t make clear the importance of listing the correct contact information, consider the damage caused by not having consistent NAP information. Some listing pages, such as Google+, won’t display your information correctly if there are inconsistencies between sites. That’s why you have to make sure your contact information is correctly listed everywhere it needs to be. Your local SEO ranking, and your ranking across the whole Web as a result, depends on it. There’s great value in businesses developing themselves locally, even through digital means; in fact, it helps build a healthy, prosperous community. But in 2015, there are some important steps to take to make sure you utilize your local SEO potential to the fullest.